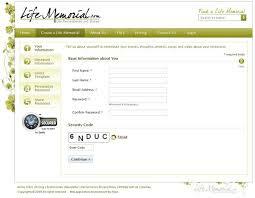 Life Memorial is an on-line resource that helps you coordinate and communicate the necessary arrangements following the loss of a loved one. By easily creating a Life Memorial site for your loved one, you can quickly and respectfully make important decisions, share needed information and provide a permanent destination for cherished remembrance of your loved one. Our clients recognized that there had to be a better, more efficient way to coordinate what can be one of the most stressful times in any of our lives. They recognized that internet technology could substantially improve the memorial service experience by eliminating much of the undue stress and frustration that normally accompanies the planning and coordination process. Life Memorial contracted Pulse for a complete design overhaul. Pulse gave it a fresh look and added features like bulk mailing system for announcements, invitation to visit and contribute, help icons, Capcha code for additional security, etc. Pulse upgraded the site with modern features and improved user functionality. The website was made in .Net 3.5 and Sql sever 2008. Pulse helped Lifememorial.com achieve their goal of providing quick arrangement services necessary for a proper memorial and funeral service. At www.lifememorial.com user/visitor can search by entering first or last name and take a tour of life memorial site by a click on Take a Tour button. Home-page has various menu options, which are useful to achieve some functionality like create life memorial site, contact to admin, login etc. 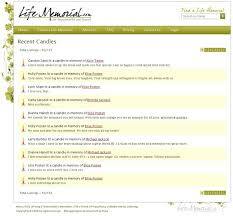 Home page shows present day’s candle (A tribute to deceased person by family, friend or relatives). 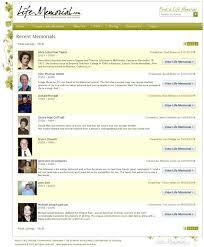 Home-page also shows recent memorials, created for the deceased by their loving ones. 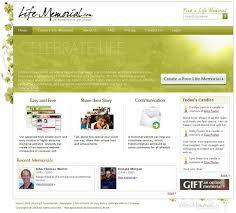 Within few weeks of its launch, Lifememorial.com has been recognized by many as a long-awaited resource and a much needed destination for support and reverence.